A few days ago, the two new StreetPass games Ultimate Angler and Battleground Z released. Given the nature of StreetPass, it's impossible to review them without living in a major metropolitan area or spending several days building up Play Coins. That said, I had a fat stash ready and waiting for such an occasion, so I played through the first set of areas in both. So far, Ultimate Angler is looking pretty good, but it doesn't mesh well with my usual source of tags. As a fishing game, Ultimate Angler leans more toward arcade than simulation. The actual fishing involves watching a bob on the line, pressing A when it sinks, and then reeling in the catch. Reeling too quickly can cause the line to break, but reeling too slowly can allow the fish to escape. It isn't difficult, at least at the beginning. Upon reaching the islands, players are tasked with finding not only the everyday fish, but also a legendary creature at each island. These legendary creatures take a bit more effort: players must wear them down over multiple fishing attempts before being able to bring them in. In terms of action, it isn't the most exciting StreetPass game out there, but it's a quick endeavor and it isn't obnoxious, so I can imagine keeping at it until my logbook is full of all varieties of fish. The StreetPass functionality comes with the bait. There are 12 types of bait, each corresponding to one of the colors that a Mii can wear. Tagging somebody will net that color bait. There does not appear to be any sort of bonus for multiple tags as in Find Mii or Monster Manor. Each species will prefer some types of baits over others, so anglers can hone in by choosing the right bait. Additionally, bait can be combined and bigger fish are attracted to larger pieces of bait. The result is a highly luck-dependent system; players generally want to combine multiple pieces of bait to get bigger fish (and better ratings) within a species, but adding pieces that don't match can attract a non target species. 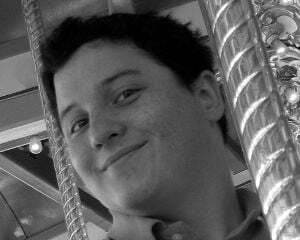 Through StreetPass or the use of Play Coins, shirt colors are generally random, so there is no guarantee that an outing will even produce the right color bait. Ultimate Angler suffers from one drawback present in Mii Force, though not to the same extent: it feels like a full roster of ten is required for optimal play. 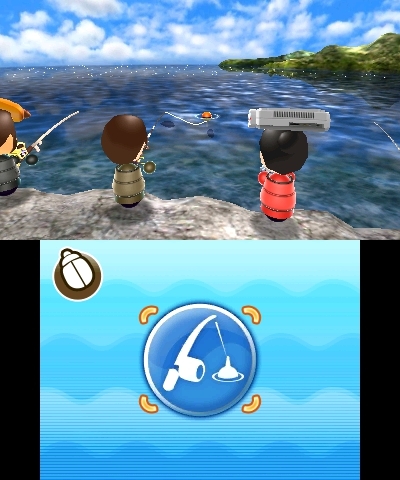 Where Mii Force reduced potential firepower for anybody coming in with fewer than 10 teammates, Ultimate Angler reduces options and potential rating. It isn't quite as bad, because the actual play isn't affected much; only the result is. The other design quirk that hurts Ultimate Angler in terms of the way I play it is that using Play Coins is basically required in order to see a variety of fish. I StreetPass with my wife several times a day, but that will always be just one piece of red bait. Though I can fish once with it, I will always catch that same species and they will always be small. 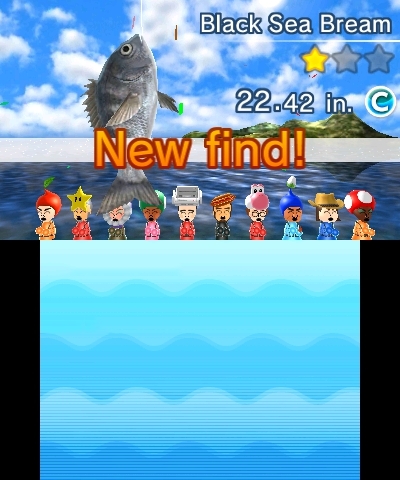 On the other hand, Ultimate Angler succeeds in one place necessary for a good StreetPass game: it can be played quickly if necessary. Each fishing session from line cast to caught creature takes only 10 or 15 seconds. With the bait-combining mechanic, even a full cast of 10 helpers can be chauffeured through without wasting too much time. For those who would rather drag it out, single bait casts are possible. It's a smart way to handle two different styles of play. I can picture myself playing this for a while. It has the same sort of relaxed feel to it as Flower Town, but with at least a bit of action injected in. If it continues the strange, uncomfortable narrative, this could be another hidden gem.